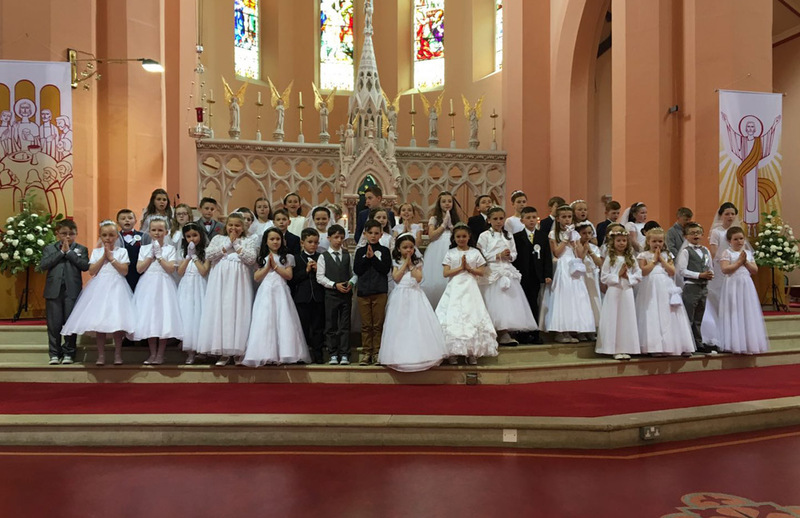 Congratulations to all our second class students that received their First Holy Communion in St. Cronan’s Church on Saturday, May 20th. The children were very well prepared for the big day by their teachers Ms. Atkinson and Mr. Stapleton. 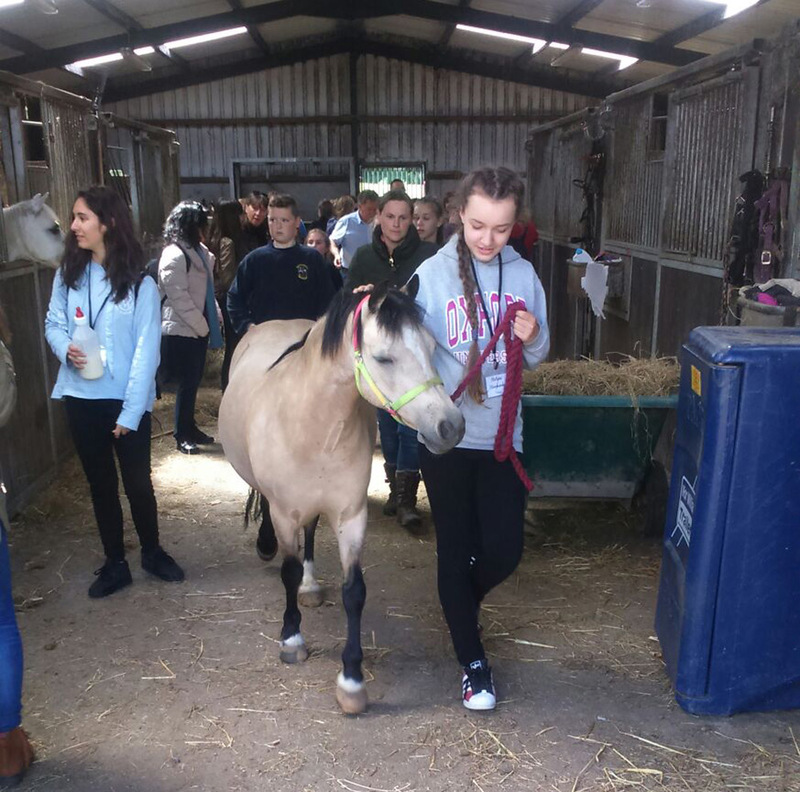 Their behaviour on the day was impeccable and that led to a very enjoyable occasion for everyone. 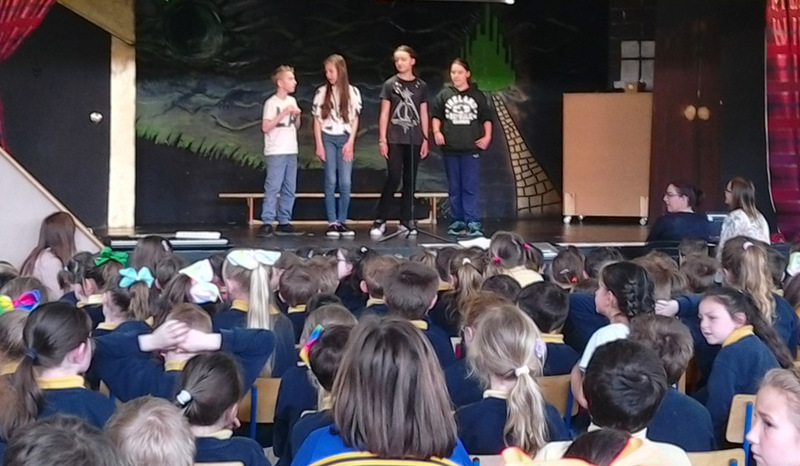 The Erasmus+ visit to Corville School finished today with a school concert. 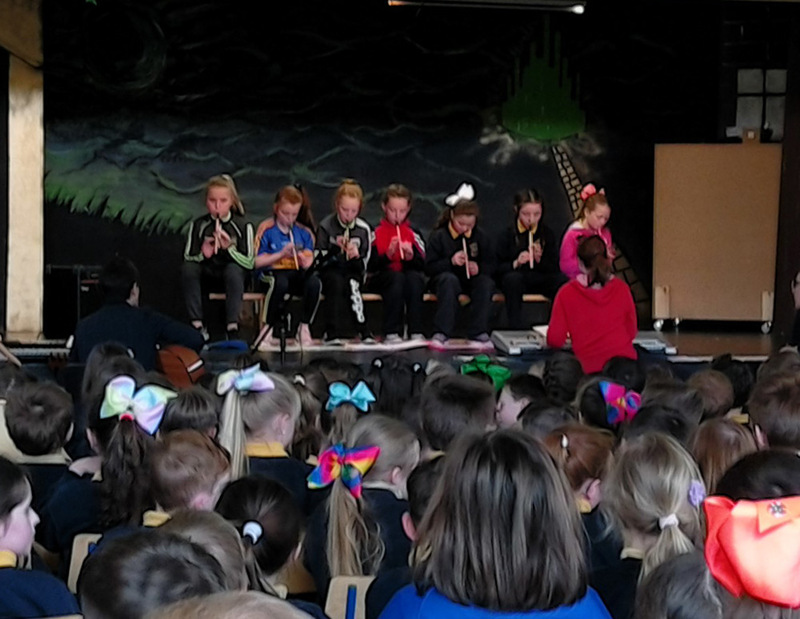 The school was a hive of excitement as each of the classes in the school performed for our guests on stage. 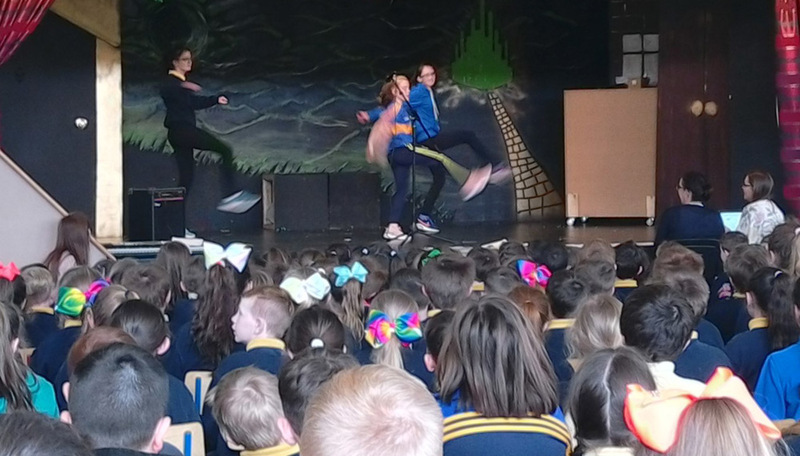 From comedy skits, Irish dancing and singing to hip-hop dancing and playing instruments our students were amazing. It was great to see our visitors from Poland, Portugal, Bulgaria and Turkey all getting up on stage too. At the end of the festival our visitors were presented with certificates of participation. We hope our visitors enjoyed their time in Ireland. 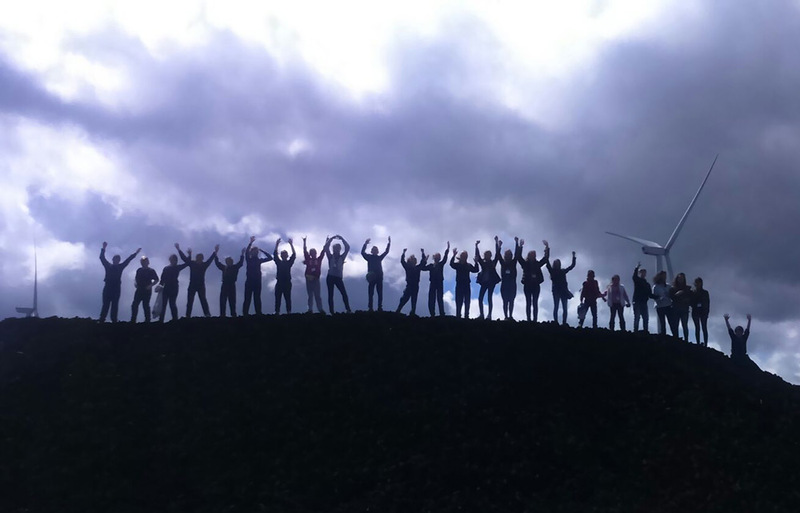 We will see them all again soon when teachers and students from our school travel over to their schools next year. This has been a very positive experience for our students as they made new friends and learned to appreciate foreign cultures. Term 3 has kicked off in fine style for the school. As usual, we are very busy in school with a multitude of things going on. With school tours, county finals, sports days, communions and graduations coming up we are going to have plenty of updating to do on this website. Our student website reporters might have to start working full time! 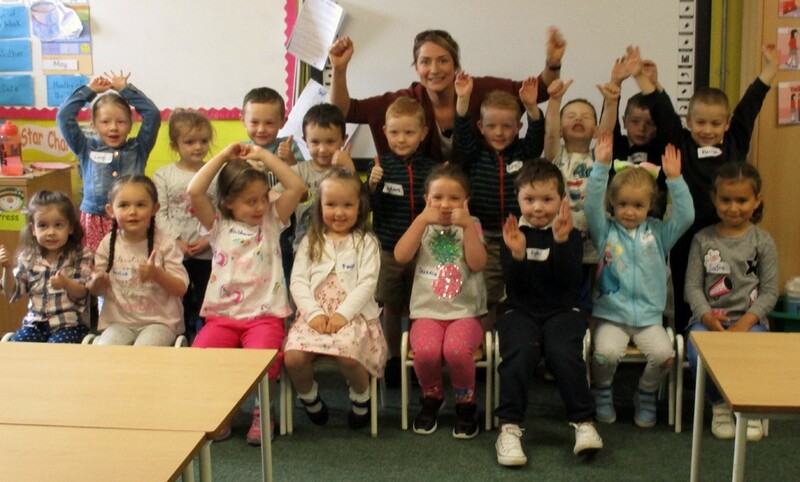 A Magical Day in Corville: the school recently held our Junior Infant Day. It proved to be a wonderful day where all the children that will be joining us here in Corville got a chance to visit the school, see their classroom, meet their teacher for next year and meet their future classmates. There were smiles all round as the children mixed and mingled with the other children, played games and took part in some fun activities. 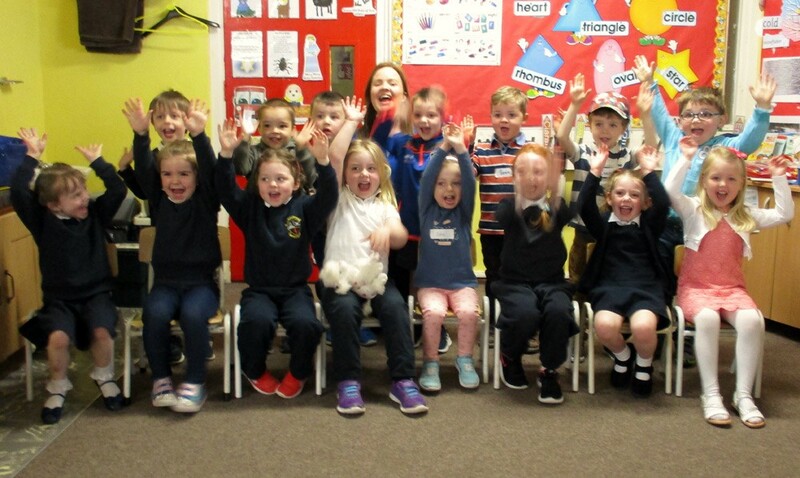 This was a super way to introduce the children to the school and we are sure the children are all excited at the prospect of going to school with us next year! Erasmus+: It is a big week in our Erasmus+ programme. 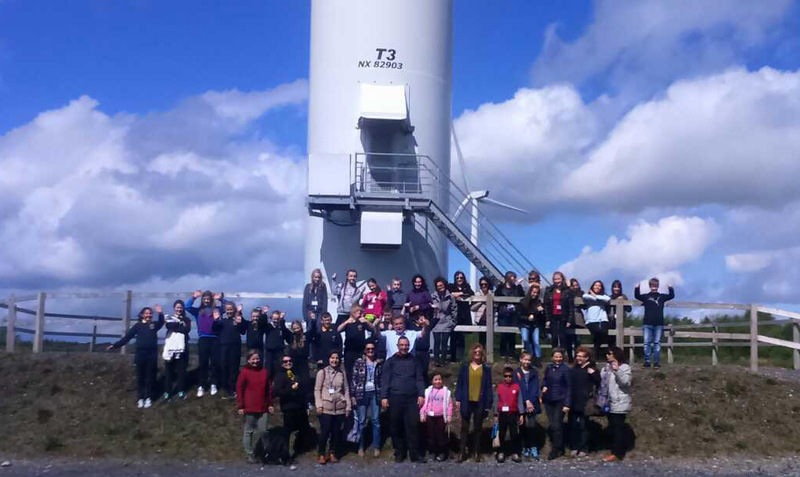 We have 30 visitors from schools all over Europe in Corville all week. Each day they visit a new location e.g. Roscrea Castle, Scott Farm, Cliffs of Moher, Woollen Mills etc. It is wonderful to see our children interacting with all the other kids and hearing about what school and life is like in their home countries. 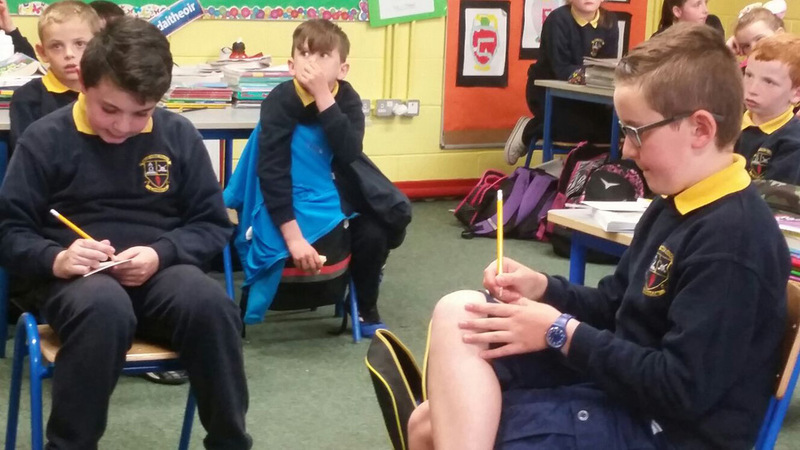 Preparation for Communion: Our 2nd class girls and boys are putting in a lot of hard work getting ready for their 1st Holy Communion this Saturday. They are all very excited but nervous for their big day! Here they are in the hall practicing their hymns. 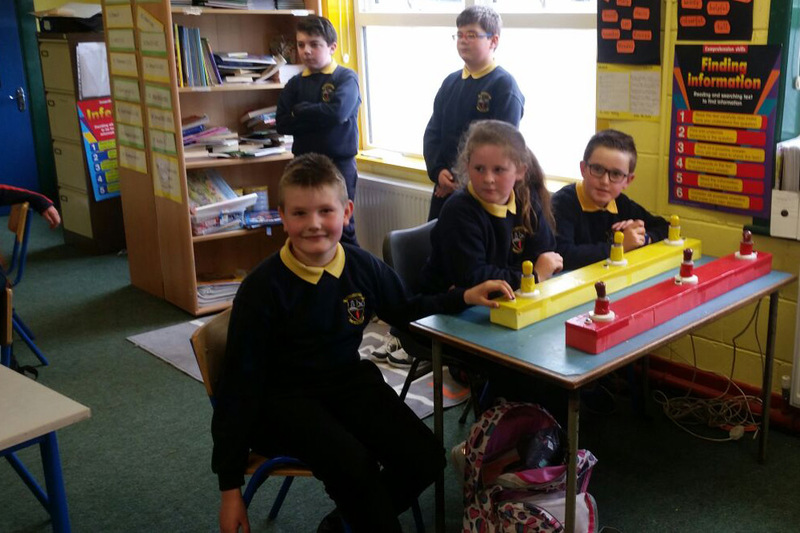 The Chase: A new quiz competition for 3rd class is starting up this week in school. Based on the popular tv program, 3rd class teams will have to battle against one of our Chasers. The Chasers are the members of our senior school quiz teams. The 3rd class teams will need to be on top form if they are to escape with some prizes. Oliver: the school are super proud of the fine performances put in by some of our students at the recent production of Oliver. 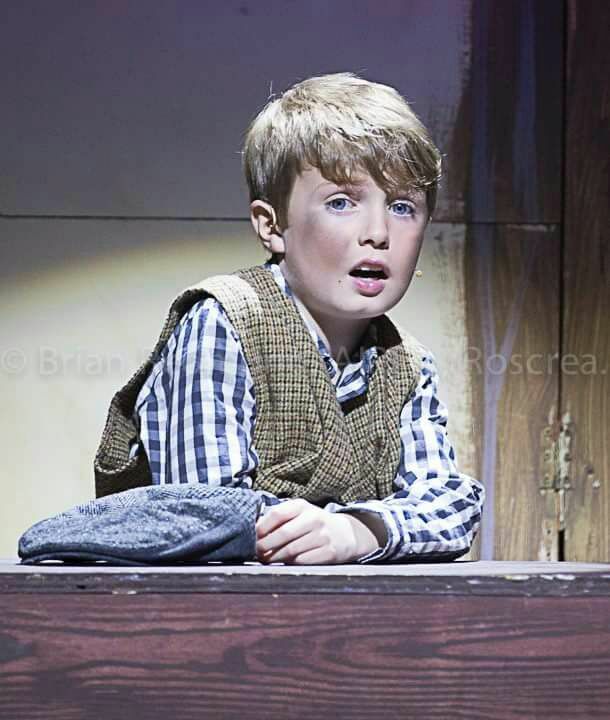 Here is a photo of Callum Mitchell who was fantastic in the lead role of Oliver. Hurling: The start of the hurling season is always very exciting and expectations were high that our teams could do well. Our boy’s GAA teams have been undefeated all year as they both were county champions in football before Christmas. We had mixed success in both hurling competitions over the last two weeks. U/13: our U/13 boys are North Champions and are through to the county finals. The boys won all their matches in their recent blitz. The matches were very tough, especially the final, but our lads dug deep to seal the win. This put the boys into the county semi final which was played today. Our boys once again did very well, winning the match and progressing through to the county final in Semple Stadium. U/11: A team – our U/11 boys were unlucky to be eliminated in their blitz last week. They were very unlucky to lose their first match by a point, and even though they won all the rest of their matches, that was enough to put them out of the competition. This was their first taste of defeat last year and it stung a little. However, our boys are made of strong stuff and we are sure they will use this experience to motivate them to improve even more. U/11: B team – our U/11 boys performed very well on Monday at their blitz. They won all 3 of their matches to progress through to the county final which will be played very soon. U/13: our U/13 girls are fiercely determined to do well in this competition. Having lost in the county football final this year and lost in the county camogie final last year too, they are determined to do themselves justice. The girls had a great day and won all of their matches in fine style. 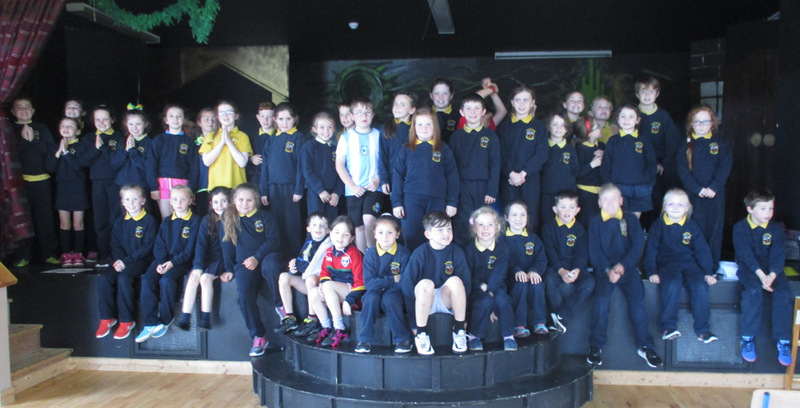 The teams that took part were Moneygall, Lissenhall, and Scoil Eoin Naofa Roscrea. This puts them through to the county final in Semple stadium. This is sure to be a great day out for the school. U/11: our U/11 girls played their recent camogie blitz in Roscrea. The girls had to work really hard in order to win. Led by Ava, this team put in a huge performance on the day and qualified for the county final. The girls showed a lot of heart and determination and these qualities will be needed for the final in Semple Stadium. In the first game they played Templemore and won 4:00 to 1:00. The 2nd game was their hardest match and it took a late equalising free from Ceola to draw the game. In the 3rd game they beat Gaelscoil Nenagh on a scoreline of 1:01 to 0:0. The final game was against Ballina and Corville got the win they needed to progress on a score of 3:01 to 1:01. Soccer: Spar 5 a-side tournament: this is the big soccer tournament of the year for the boys and girls in Corville. We have been steadily improving over the last few years and we hoping to improve further this year. We most certainly achieved this aim but both teams came agonisingly close to exceeding all expectations. Unfortunately, both teams lost in the county final but they can hold their heads high at a job well done. Boys U/13: our boys qualified for the 2nd round of this competition which was played two weeks ago in Two Mile Borris. The winner of this round would represent Tipperary in the Munster Finals. The Corville team of captain Kian, Ryan, Devin, Aaron, David, Daniel, Brian and Kyle performed well in their league and came out on top. For the first time they would play in a county soccer final against a strong Two Mile Borris team. Losing captain Kian to injury before the game meant it was always going to be an uphill battle. The boys lost the game 2 – 0 but did fantastically well to come 2nd out of 45 teams. Girls U/13: the girls qualified for the 2nd round for the first time last year where they were eliminated in the league stage. This year they also made it through to the 2nd round but they went one step further by winning their league in fine fashion. This put them through to the county final. 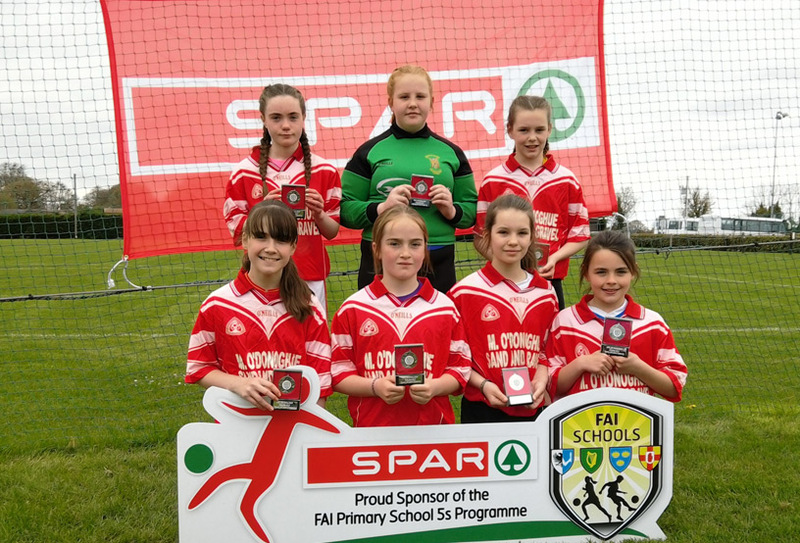 The Corville team of captain Khya, Mollie, Orla, Ceola, Lucy, Niamh and Stephanie got off to a flyer in the final, going 2 – 0 up early on. The score could have been a lot better for the Corville girls as they were playing some great stuff. Unfortunately, in a few crazy second half minutes everything changed as Two Mile Borris fought back with 4 goals. The final score ended up 3 – 4 against us so the girls were understandably very upset. But, they should be very proud of what they have achieved. As they say, sometimes you have to lose a final to win a final. 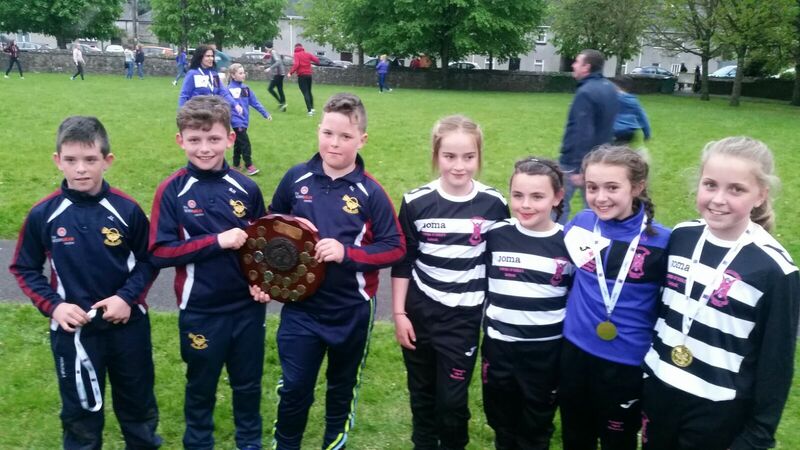 Community Games: Rugby & Soccer – Roscrea had two teams competing in Community Games finals last weekend. It was a great day for the town but also a great day for our school. It’s not every day a team from the town win an All Ireland medal, so to welcome 2 back to the town was great indeed. We would like to congratulate all the coaches and parents involved in helping the teams perform so well. We would also like to congratulate the girls and boys from this school that were key members of the winning teams. 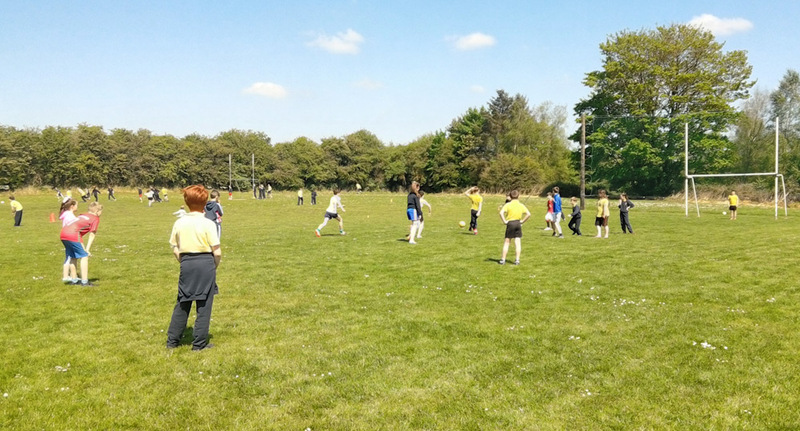 Josh, Harry and Billy were part of the final winning rugby team while, Ceola, Niamh, Abi and Sarah were part of the final winning soccer team. School Soccer Tournament: our school soccer tournament kicked off last week. Every student in the school takes part in this. There is a senior and a junior league. The senior league is from 3rd – 6th class while the junior league is from JI – 2nd class. The emphasis is very much placed on fun and enjoyment. The tournament will finish up with a final to be played during Active Week. Best of luck to all teams! Basketball & Tennis: the school recently entered two local tournaments in basketball and tennis. We try as much as possible to ensure all our students are exposed to a wide variety of sports. The students seemed to get great enjoyment out of training for and participating in these tournaments.